10 Free Girl Games Online of 2019 - For GirlS Only & Free to Play Now! Are you a gamer girl looking for some games that you can download and play for free? Do you want a suggestion on which games you may spend time. The stereotypes that girls cannot be gamers which were widely expanded in the late 90s and the 2010s is finally starting to fall off. Girls can be gamers too! 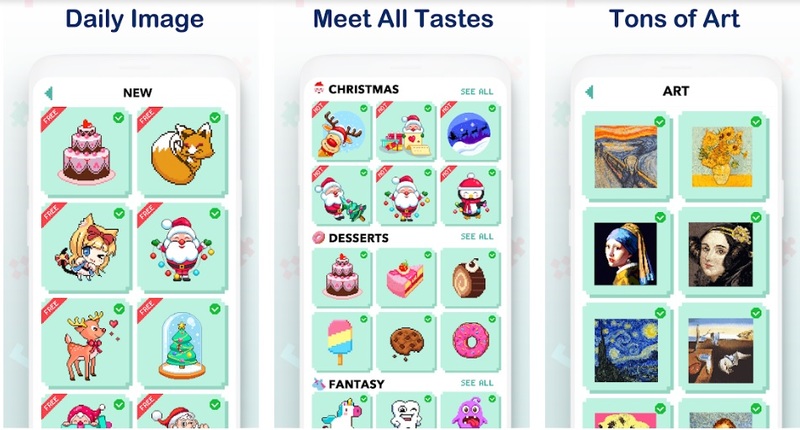 With the expansion of smartphones and tablets it became more convenient than ever for girls spending their pass-time playing exciting games on their phone. The Internet offers an unbelievable choice of games specially designed for the female population so now while you’re waiting for a cab, coffee in a restaurant or your hairdresser’s appointment you can download and play many games that will grab your attention instantly. Most of these games are downloadable for both Android and iOS so you will probably have an easy time getting these games on your device regardless of the system. 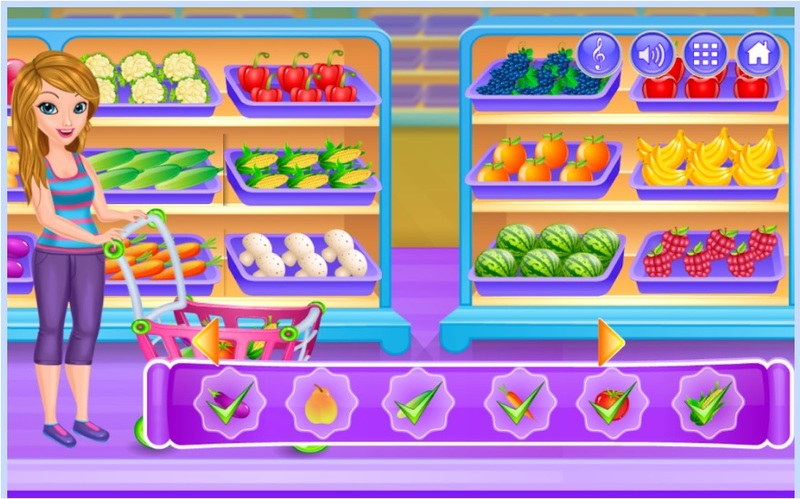 Be prepared for some amazing time-consuming with some of the top free games for girls online. This list will offer you – a girl gamer – amazing games that you will invest your time in and come back looking for more. Here are the top games for girls that you can download and play for free. Top 10 Online Games for Girls – Free to play now! Top 10 Online Games for Girls - Free to play now! Do you sometimes like to spend your time in a Cafe and while you are waiting for your smoothie, you think – I wish I can start and grow a Cafe business? Yes, for some it may be possible, but you have your career, your realistic dreams, and goals, and fortunately – you have your smart device! 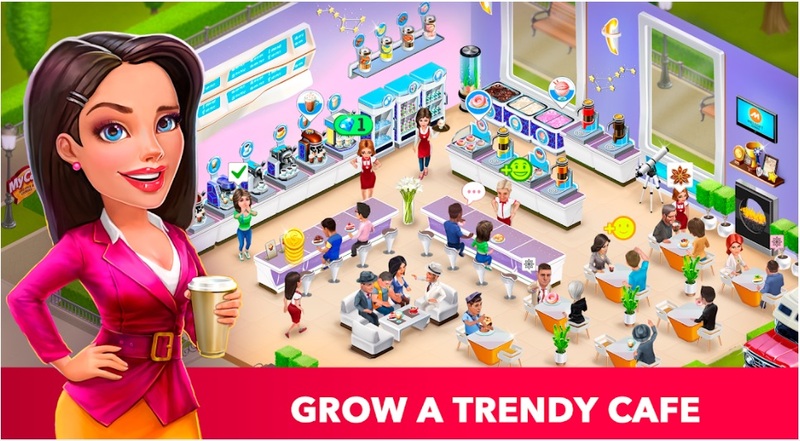 With this game that you can download and play completely free, you will get hooked into making your own Cafe from scratch. 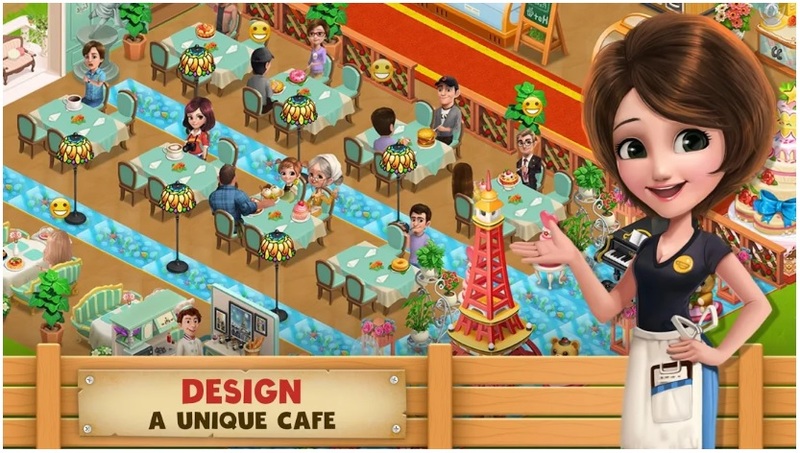 You will become a businesswoman trying out many different species of foods and drinks, designing your cafe interior, pleasing your guests, etc. The game is brilliant and probably one of the best “business simulation” games that you may download for free from the store. You can also connect with your friends and together exchange some yummy recipes of your cocktails, shakes, and coffees and find a mutual key to success. If you like tinkering with business practices, and you would like to try out yourself as an entrepreneur, this game is for you. In the completely opposite world of businesswomen, you will have a freestyle leisure world of Barbie! 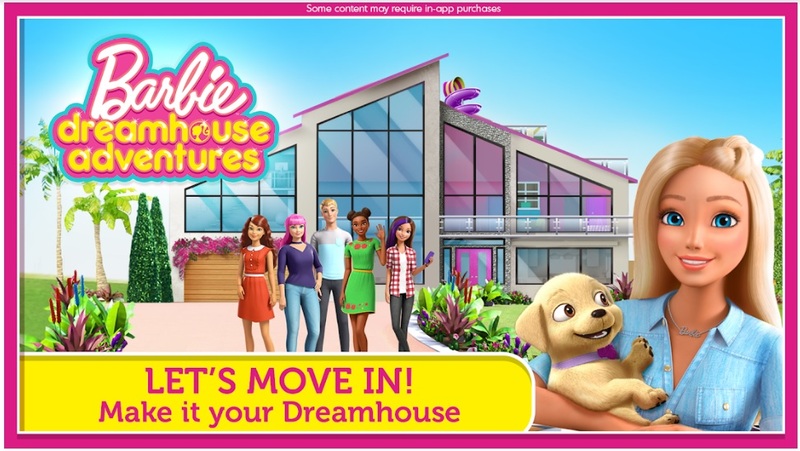 This game is a freestyle, fun, hangout-type of game where you will be in charge of serving your Barbie with the best house ever seen. In Barbie’s dreamhouse, you will design her rooms one-by-one. Do you want a cool fashion closet? You got it. A discotheque living room? Yup, you can have it. Make selfies with your friends, try out some hip makeup and change hairstyles every minute. Adopt a puppy and carry it all around. Party with friends like there’s no tomorrow.! This game is for the all cool girls who like to have fun and enjoy the glamour of life. If you’re one of them, download it as soon as possible. Ever wondered what is it like to be a fashion designer? Have you thought about putting some high-end fashionable clothes on a model and letting them go on a fashion stage while the audience is in awe of your creation? This game is for all those aspiring fashionistas that believe they are the best when it comes to fashion. The game is addictive and fun with many options available and once you let your models loose you will crave for more. 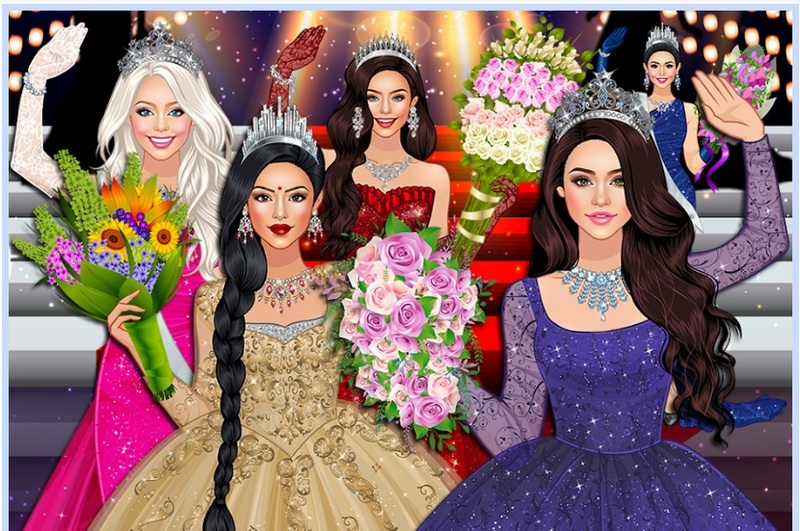 Climb up all the way on top of the fashion industry with this amazing game. This particular game tells everything you need to know from its headline. You are a mega-rich and mega popular-girl and you will do whatever and spend whatever to be the best looking girl in the world. This game is total, completely free with no premium account options and now extra content so what you see is what you get. It is a typical fashion game with hundreds and hundreds of accessories for different occasions and you will never run out of ideas for exciting and gorgeous combinations. I have added this fantastic game because it is one of the most popular games of 2018. 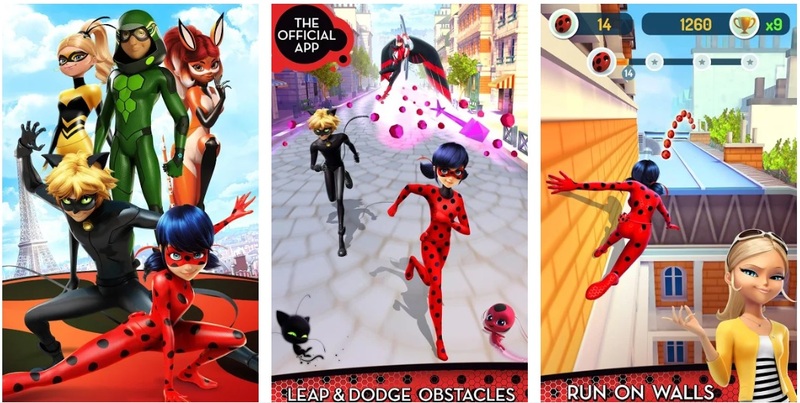 It includes one of the most popular female hero characters of previous years with a little help from her friends and this running-style game is always highly addictive. When you start running, avoiding and confronting obstacles in the streets of Paris you will have a hard time letting your device go. The further you run the more the game occupies you and it is ideal when you’re traveling or waiting for a longer time and you need a pass time. The game is free with tremendous graphics and performance and offers an exciting adventure that boys will also eagerly play. My home is an eye-catching gem of a game that is unbelievably popular with millions of downloads and over half a million of positive ratings. 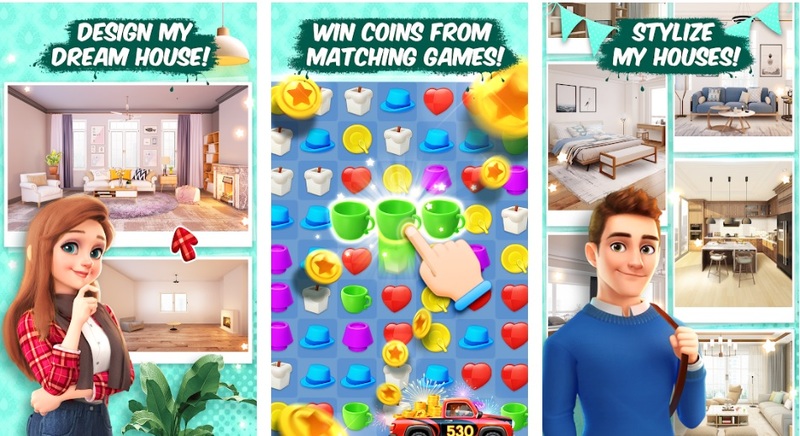 It is first and foremost a puzzle game and while solving puzzles you will be given opportunity and things to redecorate various types of different houses, from small condos to big, deluxe apartments and villas. The graphics are immense, puzzles are immersive and characters are charismatic and sweet. The in-game currency are coins, that will help you buy more expensive and luxurious things. Overall, a tremendous game for the interior design gamer girls and many that believe that have hidden love for home decoration. Pixel art is for the art lovers out there that are also caught in the fascination and restoration of pixel artistry. While relaxing and maybe even some background music playing softly, you will be able to give life to detailed and vivid pixelized images. Your colorful imagination will add a necessary touch and in return, you will get a therapeutic-like experience. This relaxing games will offer you countless hours of fun and peace. Themes are unbelievably diverse – from food to complex art or portraits, the color palette is amazing and the sensitivity is top-notch. A game for girls with colorful souls. Cooking Country is similar to an aforementioned My Cafe with an exception of it being not only an entrepreneur-style game where you grow your small business but here you will also have a combination of farming game simulators too. A lot of the food from your menu will be the food you will produce by yourself on your farm and with your animals, fruit, and vegetables. This game is relatively new but it already has a cult status since it’s got it all. To all the girls that want to enjoy cooking and producing their own food and then selling it, therefore, creating a self-sustained empire. Ever heard of The Sims? The game where you can lead a virtual character throughout his daily life routine and unusual experience – taking care of his food habits, exercise, and lifestyle? This is a similar game adapted to smart devices and completely free. 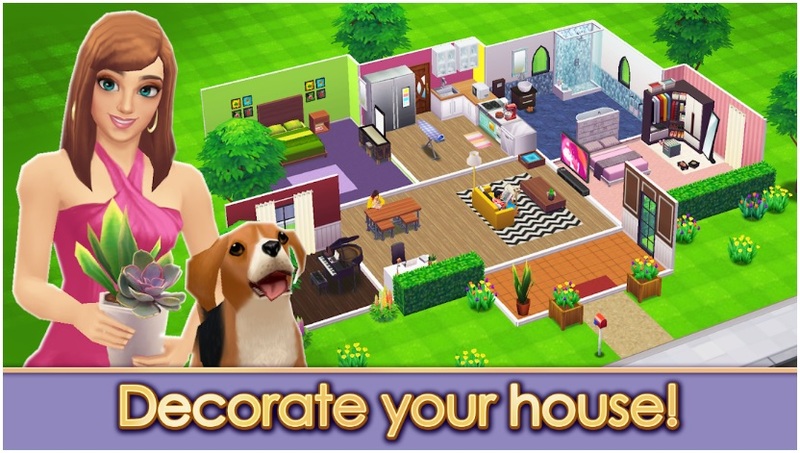 This game is, after all, a home design game firstly and because of that, you will have plenty of options to decorate and further improve your house in many ways. You will find a wide catalog of furniture, decorations and house accessories. There are story mode options, your character will meet plenty of friends and will share some awesome activities. To all the gamer girls – this game is definitely worth a try. While it sounds like something that you might be better off to practically do in real life, this game is actually not too focused on the routine, quick stroll through the supermarket aisles. So, that’s it. With this list, you have different game types all covered and ready to be tested. If you like fashion – you have a game. Barbie games – got it. Decoration – it’s there, as well as action/running. If you have some more recommendations please feel free to comment. There are plenty of gamer girls in the digital sea.